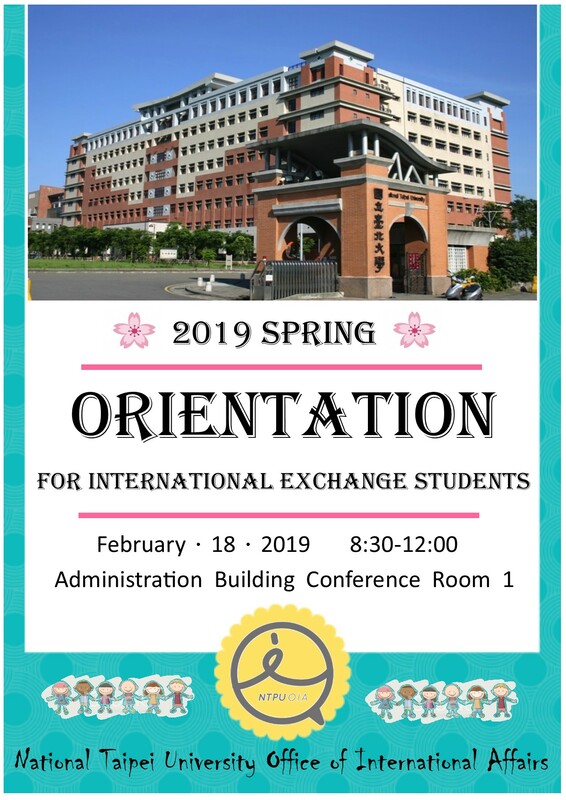 2019 Spring International Students Orientation is designed to help international students settle in, and addresses academic, adjustment and safety concerns to the National Taipei University. University staff members will support you throughout your studies in NTPU. All international students (including degree-seeking students) are required to register. Administration Bldg., 4th F, #1 Conference Rm.